At this year’s Tokyo Game Show, we got a new Final Fantasy XV trailer. Just like we did last year! Know what that means? Comparisons, that’s what. 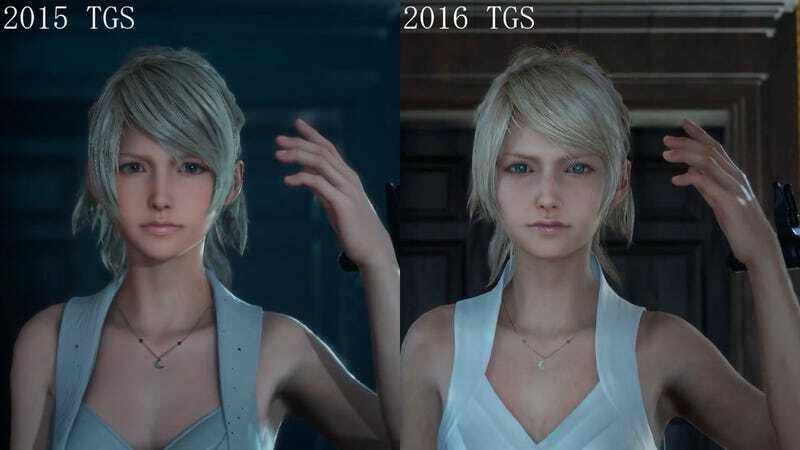 Via 2ch, here is how Lunafreya Nox Fleuret stacks up in the 2015 and 2016 trailers. She’s changed considerably over the course of the game’s development, but with FFXV’s impending release, we finally get to see last minute tweaks and her near-final iteration.